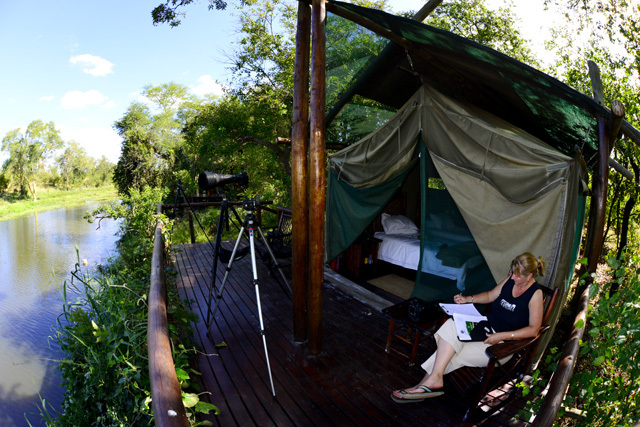 Machampane Wilderness Camp is located in the Mozambique sector of the Great Limpopo Transfrontier Park, just 30km from the Giriyondo border in the Kruger National Park and is situated on the banks of the beautiful Machampane river with fantastic views over the river and surrounding veld. Machampane is a small but intimate camp and beautifully laid out with only five tents, each with views that are superb and made for great landscape photographs. 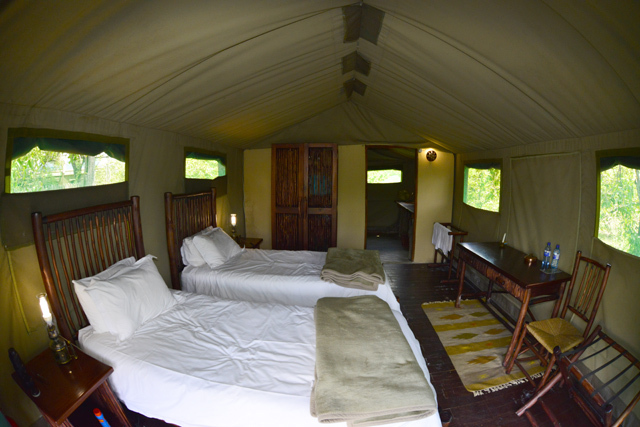 The safari tents each have a wooden deck overlooking the river and en-suite shower and toilet. 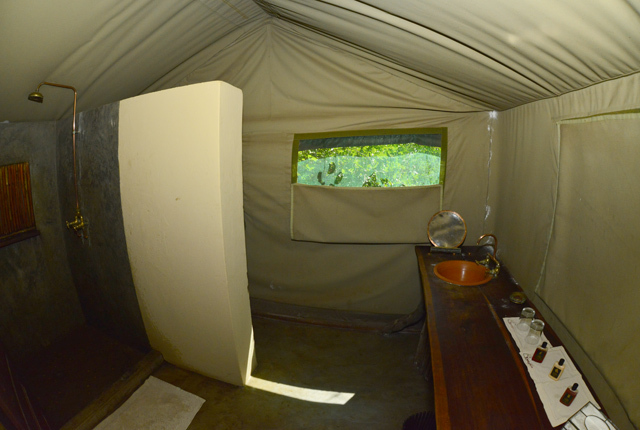 Prior to arriving at Machampane we had stayed two nights at a camp on the western Kruger border and we got hardly any sleep as we were eaten alive by mosquitoes each night. What a pleasure coming to Machampane where we did not see one mosquito and had two nights of blissful sleep! 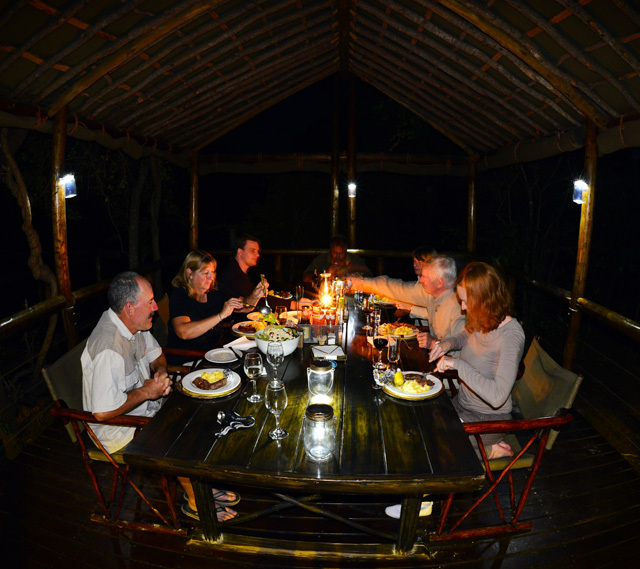 Gravel pathways lead you from your tents to the dining and boma areas which are just a short walk away. The dining area also has a lovely view of the river and surrounding bush. 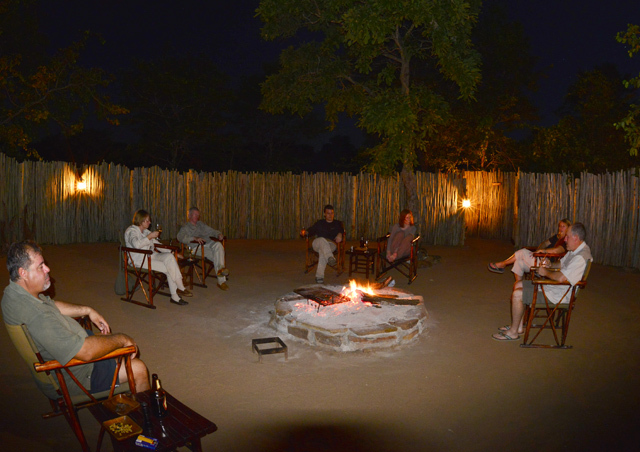 Guests congregate in the evenings for sun downers in the boma which is just behind the kitchen. Dinner and breakfast are served under the thatched dining area. A small bar area has a coffee, tea and water station for you to help yourself during the day. Machampane provides free mineral water on tap, which is a change because many lodges charge for this. All our meals were very good and the chef, Melita, was such a character! When each course had been served she would announce what the dish was and then would say "it looks good, it smells good and it tastes good, enjoy!" 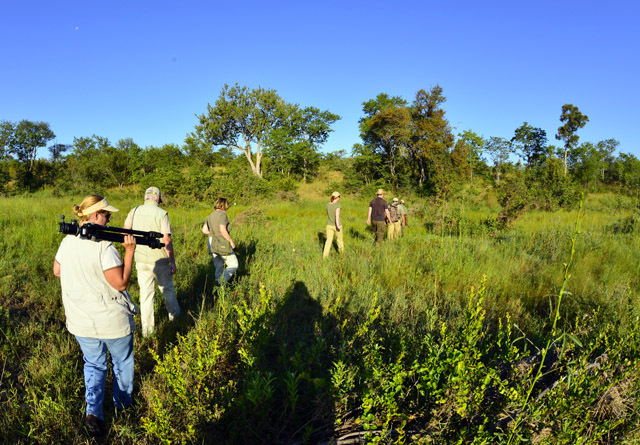 The Camp offers daily guided walks both in the morning and afternoon; we went on 3 walks but did not see much game. We found leopard, cheetah and buffalo dung plus elephant footprints so they were around. We also heard hyenas and a leopard at night. On one of our walks we came across a whole lot of vultures sitting in a tree, on closer inspection they flew off but did not go too far, our guide thought that there may have been a kill in the area, but sadly we never found it. 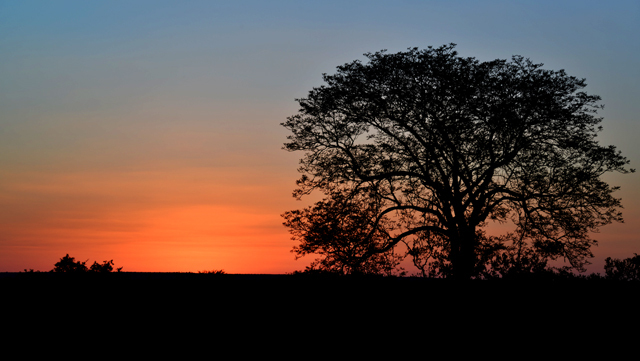 We also captured a great sunset on one of the walks. We did, however, see Waterbuck, Impala, Baboons, Vervet monkeys, Bushbuck, and a huge Crocodile from our tent. The birdlife is excellent here – we saw Pied, Giant and Woodland kingfishers, a Goliath heron, Bee-eaters, Drongos, a Green-backed heron nesting on the opposite bank, Arrow-marked babblers, Vultures and a Bateleur eagle. The staff are very friendly, accommodating and provided excellent service, nothing was too much trouble for Donald the camp manager. 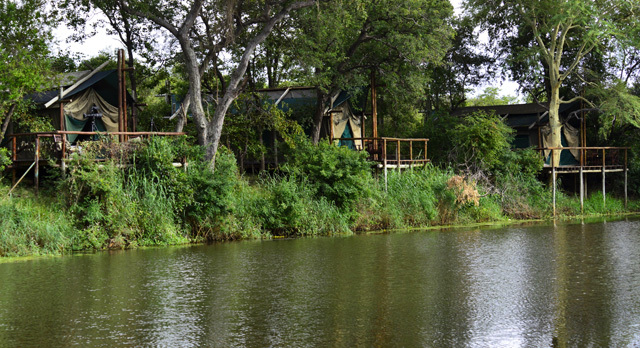 Machampane is a place to chill while lazing in the tranquillity of the bush, we would love to return to the lodge hopefully this time in winter as the game will then be more attracted to the river and we should get to see and photograph a few more animals. December 2018 Update - Machampane is no longer managed by TFPD (Trans-frontier Parks Destinations). We'll provide updated info as soon as we find out who the new managers are.